We first wrote about Adstruc in March, the New York City based startup that’s changing the future of outdoor advertising space, by providing an online auction and listing-based marketplace for sellers and buyers. Founder and CEO John Laramie brought his team together last summer under the mentoring of David Cohen’s TechStars program in Boulder, Colorado, to build the entire system in just three months. This winter, Adstruc released a campaign titled, “Billboards for Everyone.” Their first billboard, which depicts a play on the immigration policy and is aptly displayed in Arizona, was designed by Shepard Fairey’s creative agency Studio Number One. Each month, Adstruc puts out a creative brief to host a similar project in various states. Its most recent campaign (pictured below) was designed by Ron English, who is well known as the godfather of street art and art mashups. It will be on a backlit billboard in the middle of the station for 3 months. According to Laramie, the location for “You are not a clone” was chosen to speak to the mass of daily commuters who travel in and out of the train station. In September of last year, Adstruc closed a $1.1 million Series A investment led by DFJ Gotham, with participation from RRE, Founder Collective, Jeff Clavier, David Cohen, Kal Vepuri, David Tisch and Social Leverage. 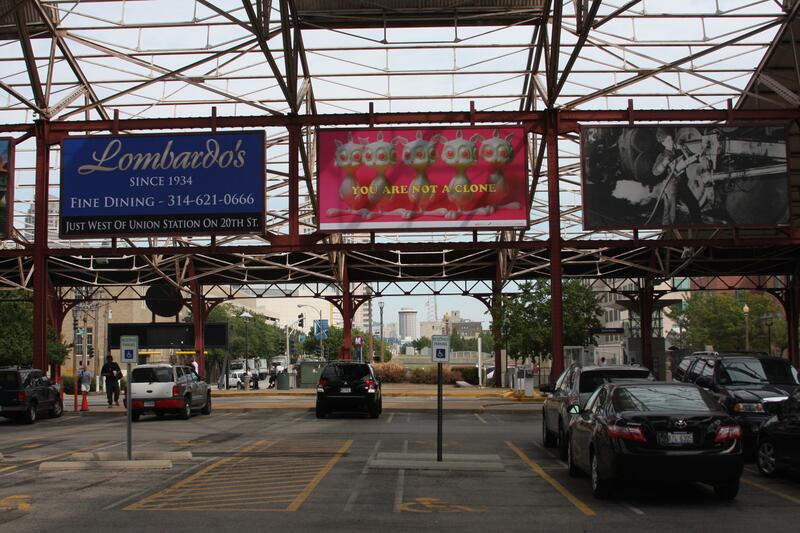 The Billboards for Everyone project is coordinated with BA Reps, Spread ArtCulture Magazine, and JWT New York. The next installment will be in New York City. Read our previous article on Adstruc disrupting the outdoor ad space with Gary V, Twilio and Shepard Fairey.